Lateral thinking is a latent power that requires only a change in mental attitude and is mostly described as a type of thinking that is unconventional. The nature of lateral thinking inspires marketers, mostly retailers, to use lateral techniques in order to find innovative marketing offerings, especially in the area of recreation of consumers' leisure times. Eatertainment, one of the lateral retail offerings, is the most popular idea in the Turkish Entertainment Sector. Eatertainment, which covers dining and entertaining needs at the same time with the same cost to the customer, fits consumers' desires for maximizing their utilities. 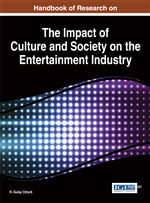 The purpose of this chapter is to understand the eatertainment business and view previous innovative offerings to visualize the future strategies due to consumer trends. An in-depth interview is conducted with one of the important eatertainment retailers, which is supported by a situational analysis of the Turkish Eatertainment Sector. In the last two decades, retailing structures have undergone significant and sweeping changes. Technological developments and market conditions, combined with relatively affluent, highly mobile, and increasingly time-scarce consumers, have all played important roles in affecting retail changes. Expansion of shopping malls and other types of shopping centers is probably one of the most notable changes in the retailing sector. Retailers have to compete with many alternative destinations of innovative offerings for their consumers’ spending. Today as a result of innovative producers, retailers and especially through mergers and acquisitions, the role of growing company marketing sophistication has been changed. The bottom line is; the power of the market has been transferred from the producers to the retailers. Due to the globalization, higher life expectancy, stable economic expansion, together with strong demographical increases contributed to this revolutionary process. Many companies, in developed and developing countries, have identified and created more segments and niches for differentiation (Pfitzer & Krishnaswamy, 2007, p.11). Ultimately, this will lead to one-to-one customized products and marketing in all industries. Launching an innovative idea is one thing but, communicating it effectively is another. Nowadays, innovation is the key factor of the competitive strategies. All products and services marketed in any country are included some classification of usefulness and differentiation. The selection of the concrete needs and satisfying the segments of consumers enable retailers to success and generate profitable business (Phillips, 1995, p.13). In today’s highly competitive retail markets, entertainment concept of retailing is increasingly being recognized as a strong- soft competitive tool. Parallel to these changes, the design and product mix of stores are changed to attract consumers by a strong theme appeal to buyers' hedonic sensibilities as well as to their utilitarian shopping needs. To improve their images and secure their futures, retailers have also pursued a variety of differentiated strategies designed to appeal the specialized consumer motives whereas covering both the functional and aesthetic needs (Maronick, 2007, p.558). It is studied that as the shopping environment is attractive and offers leisure activities to the consumers, the consumer expenditures are likely to increase. Additionally, significant changes have occurred in social life, demographic distribution of population, taste, culture, and especially consumers’ behavior. In this view, retail stores should entertain customers together with satisfying their shopping experiences. They should meet the customers’ requirements and keep up with the regular changes in technology, income and lifestyles. As the contribution of entertainment on retail practices combines with other marketing activities, increase in shopping pleasure boosts one’s willingness to buy and share their experiences. Understanding the underlying factors influencing consumer attitude and buying behavior towards innovative offerings and their entertainment perceptions could assist retailers and business developers in case of defining and creating the character of stores in ways that serve to enhance retail patronage by meeting basic consumer needs and desires (Solomon et al., 2010, p.569). Positive changes in natural, economic and social environment have led customers to trade up to more differentiated and desirable products and services. Customers have become much more aware of price variations and search for ``value-added retailing'', especially in the food retail sector. The food retail sector characterizes the gradual evolution of eating out into a leisure activity. Burnett (1989, p.318) states that going out for a meal is rated as the most popular leisure activity after watching television. Eating out, which has become a popular entertainment, has spread to a large proportion of the population. In addition, easy access to information about product quality, prices and availability increase the expected outcomes. Rising expectations versus reality on retailing have increased selectivity, reduced store loyalty due to the effectiveness of traditional shopping modes (Doyle and Broadbridge, 1999, p.74). Lateral Thinking: It is innovative and untraditional approaches through creative imagination of problem solving. Entertainment Marketing: It is a process of managing new logic of marketing mix(4C-content, conduit, convergence, consumption) to reinvent strategies for emotional attachment with customers. Recreation: It is refreshment of one’s leisure time for pleasure. Eatertainment: It is innovative dining concatenated with non-myopic entertainment aspects. Themed Environment: It is to create a holistic design in the hope of tempting and entertaining customers based on a particular space for differentiation. Retailing: It is an operation of allocating products and services to provide moments of valuable purchase experiences. Leisure Time: It is a voluntary time that includes social activities for individual gratification.